People love Endless Runners as can be seen by the extensive number of them in the Windows Phone Store. The latest to arrive on the platform, Running With Santa 2, takes a more jolly approach to the genre in a wild holiday-themed dash for presents. 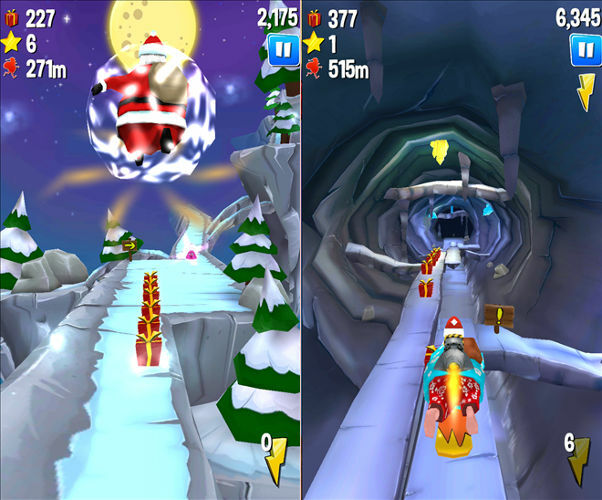 Running With Santa 2, from developer Zariba (the same dev behind another endless runner called Turbo Bugs – Survival Run), includes a colorful and vibrant art style and is the perfect addition to any holiday-themed Kid’s Corner. The story of the game is simple enough. You have to help Santa in his village in Lapland (near the North Pole, of course) where presents have been scattered all over the streets. Your job is to gather all of the presents and collect them in your bag. In-game menus allow you to do anything from change the game`s settings, choose your favorite Christmas character, access in-app purchases, try your luck with the app’s “Scratch card” feature, and more. 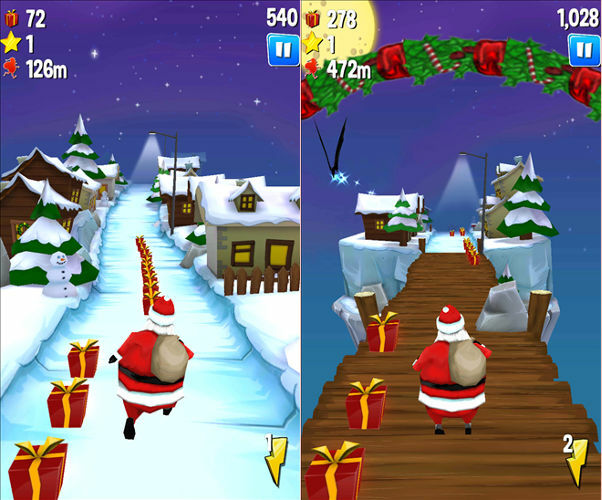 Download Running With Santa 2 via the QR code above. What do you think of the Windows platform’s latest endless running title? Love the game! It’s so Christmas and challenging! My whole family is crazy about collecting scattered Santa presents! Lol I’m still crazy about collecting coins in Super Mario Bros, so I can relate.